Experienced individuals with national and international recognition have been nominated from the UPFA to contest the forthcoming general election, General Secretary of the SLFP Minister Maithreepala Sirisena said. Women represent 6 percent of the contesters while 13 percent represent the legal profession, 3 percent the medical profession, 2 percent the engineering profession, 6 percent the teaching profession and 12 percent represent youth. Addressing a press conference held in Anuradhapura yesterday Minister assured that all measures will be taken for a peaceful election. The Minister Sirisena said that all should unite to defeat local and foreign conspiracies and create a strong parliament and cabinet. 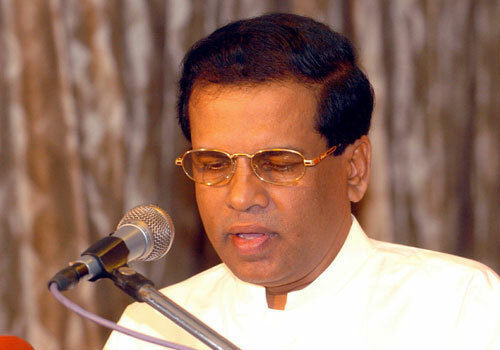 He noted that the UNP and the JVP have deteriorated today due to poor political decisions. The minister pointed out that after 1948 the biggest short term development took place under the present president.